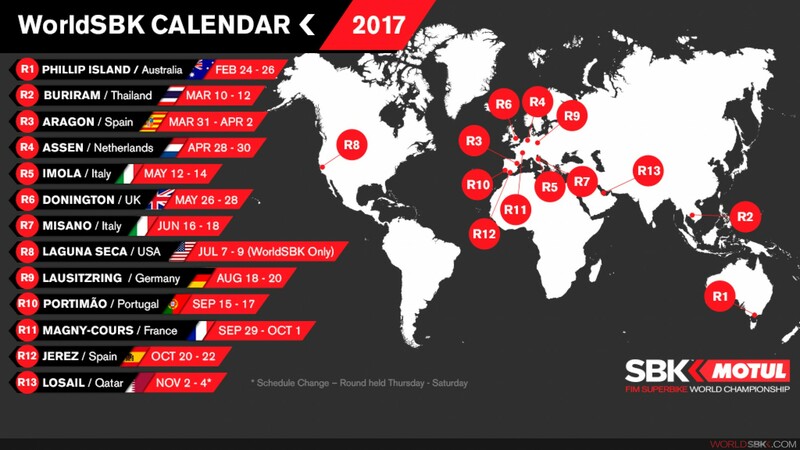 The final calendar for the 2017 MOTUL FIM Superbike World Championship was announced on Tuesday 7th February, 2017. Round 12 of the much anticipated WorldSBK season will be held at Jerez from 20th – 22nd October 2017. The final calendar for the 2017 MOTUL FIM Superbike World Championship (WorldSBK), FIM Supersport World Championship (WorldSSP), FIM Supersport 300 World Championship and European Superstock 1000 Championship (STK1000) can be found here for your perusal.